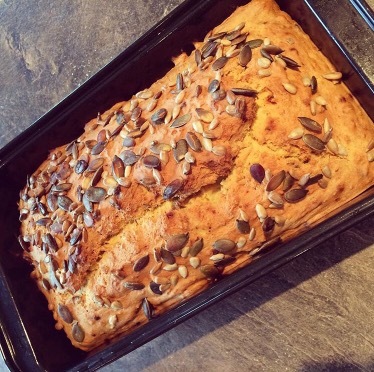 This bread not only contains minimal ingredients but it’s healthy, delicious and really easy to make. It is the closest thing I have discovered to normal bread, suitable for soups, toast, breadcrumbs etc. Pour mixture into the tin and bake in the oven for approximately 1 and a half hours, depending on your oven but checking around the hour mark. To confirm it is cooked, insert a skewer into the center – if the skewer comes out clean it is done, if a sticky mixture is on the skewer it will require longer. Once cooked remove from the oven and the tin and leave to cool on a wire rack before slicing. Best eaten the same day, but can be eaten the next day although not as fluffy. 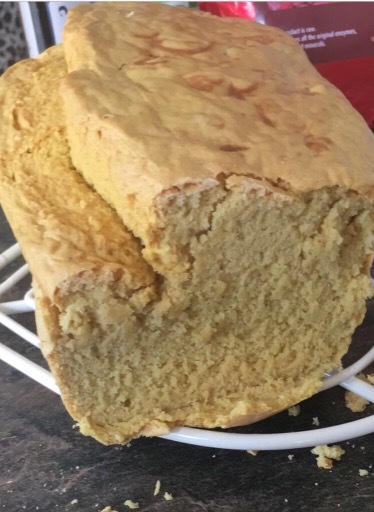 This bread works well frozen, I would recommend slicing it up on the day of cooking, place in zip-lock freezer bags in portions i.e. two slices. When you need it you can take it out of the freezer and pop it straight in the freezer – it makes good toast. The mix can be made in full, minus the lemon juice the day before and stored in a covered container / jug in the freezer to save time on the day of making or if you want to make first thing in the morning. Simply remove from the fridge on the day, mix in the lemon juice and follow the same steps above. 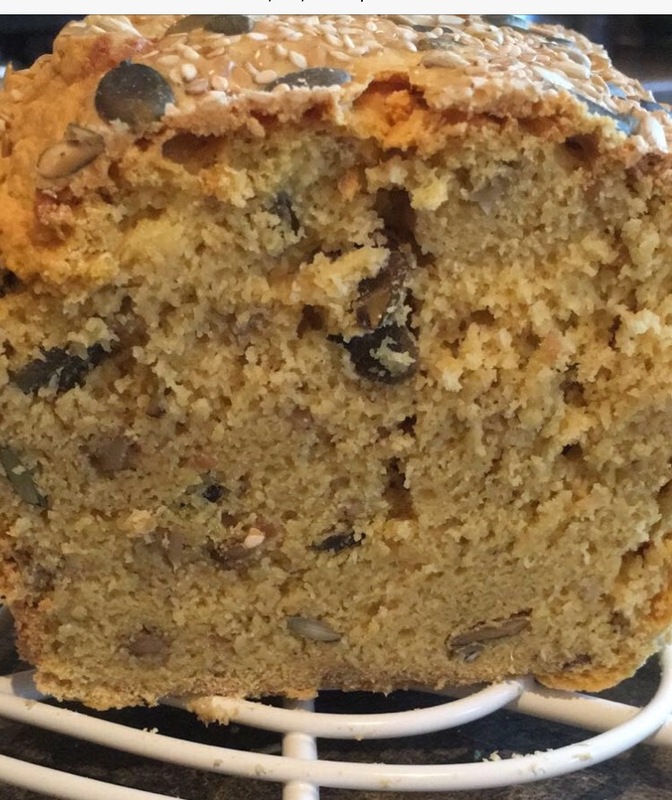 This is a basic recipe, but you can really add anything you want to it – nuts, seeds, dried fruit, herbs, spices etc. 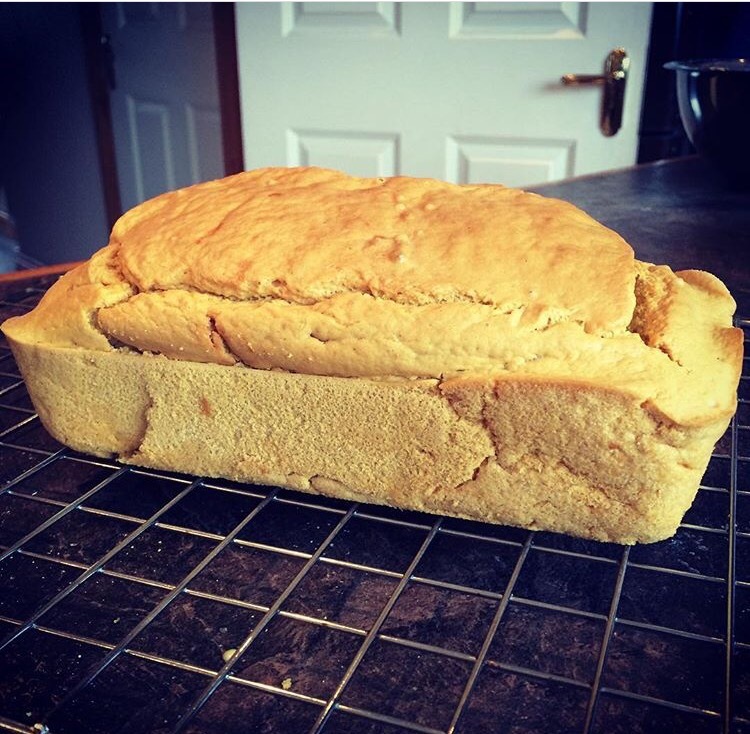 I made this bread last week.. so easy and so versatile. LOVE IT ! I added garlic and chilli flakes to mine. Guess you can add anything, so tomorrow I am going to try fruit such as raisins and currants etc.